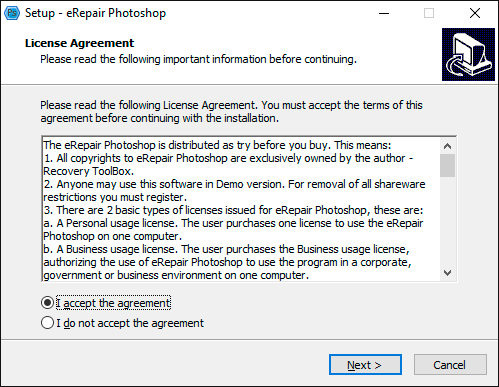 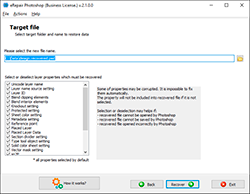 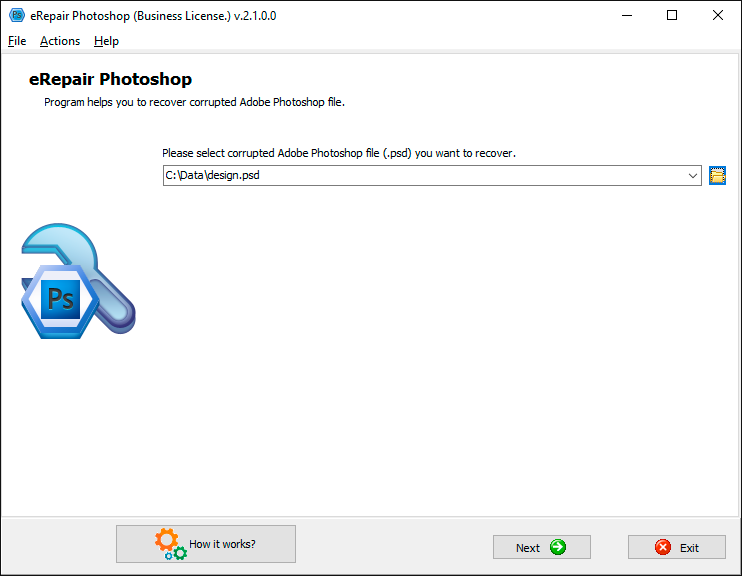 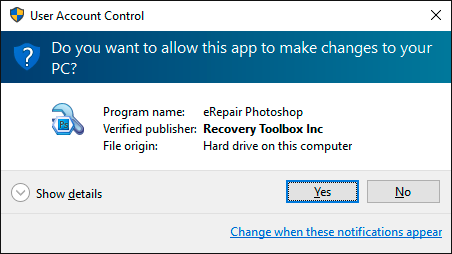 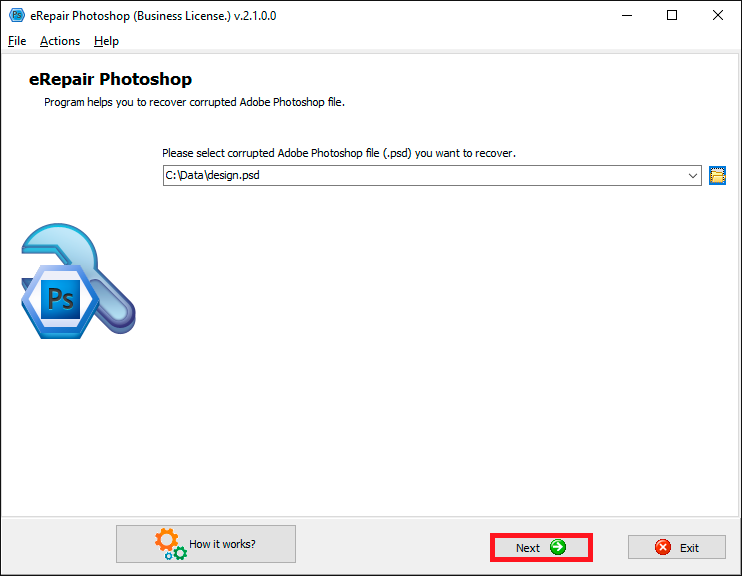 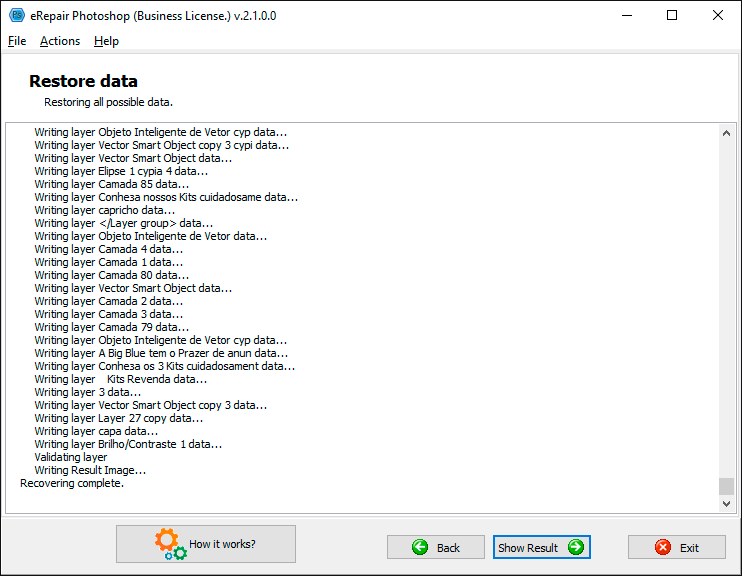 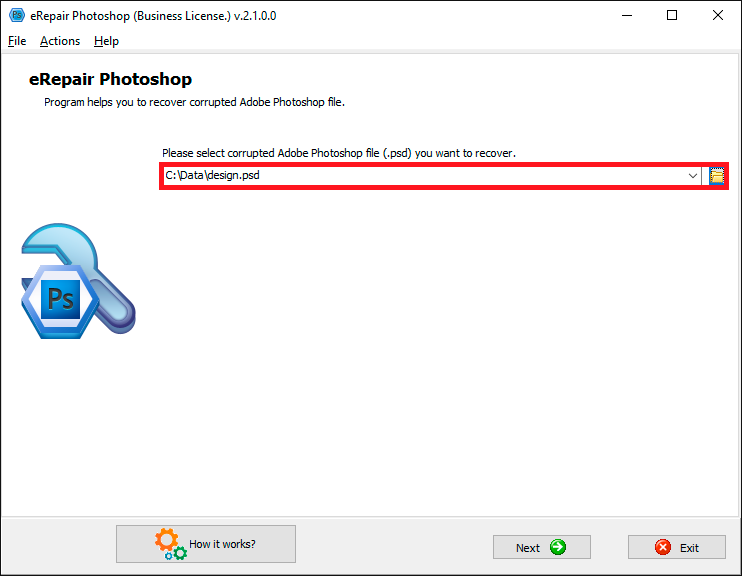 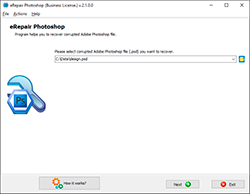 The Adobe PSD Repair Tool is distributed under the "Try before Buy" License. 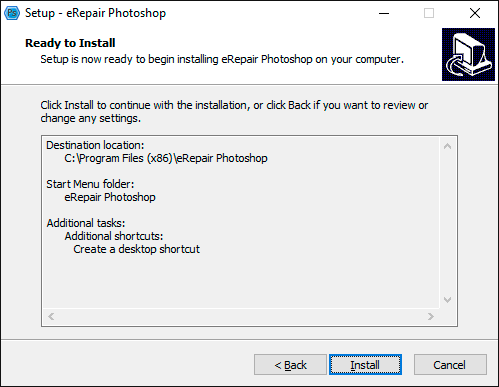 You should try to repair a corrupted psd file before purchase. 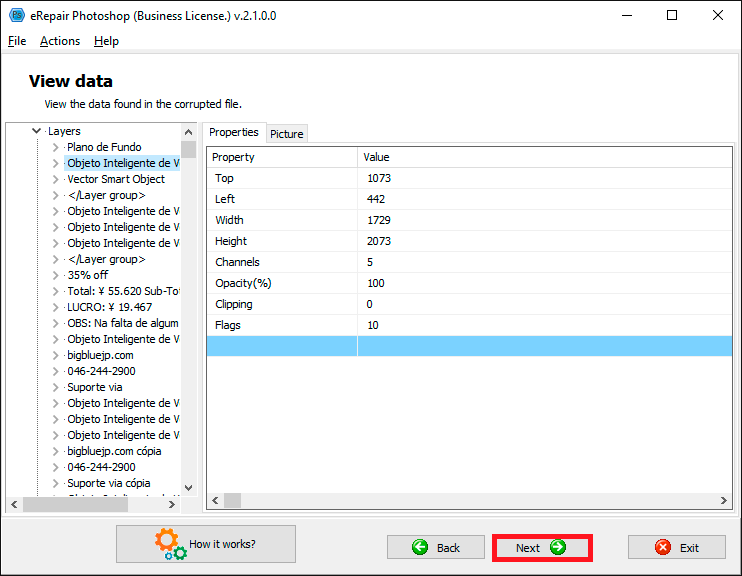 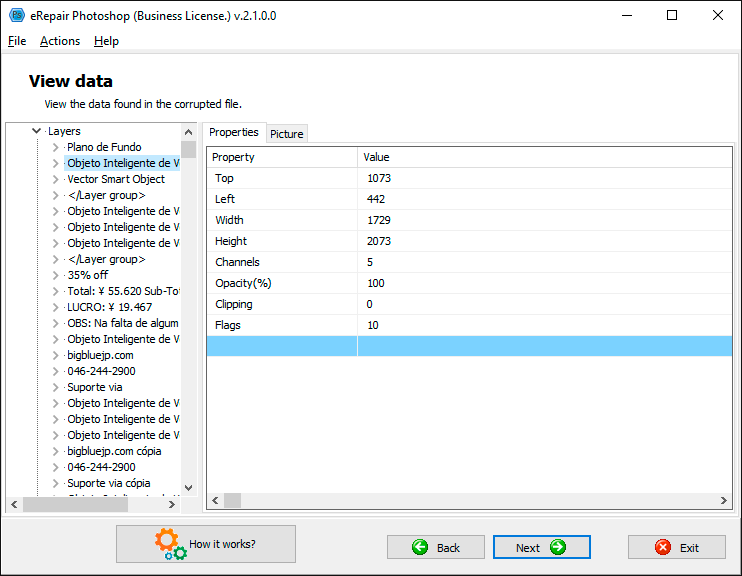 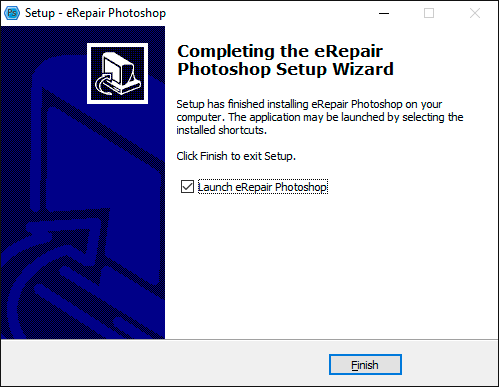 On the second page in the DEMO version of the Adobe Photoshop file repair tool you can preview all recovered objects with properties available for saving from damaged PSD file. 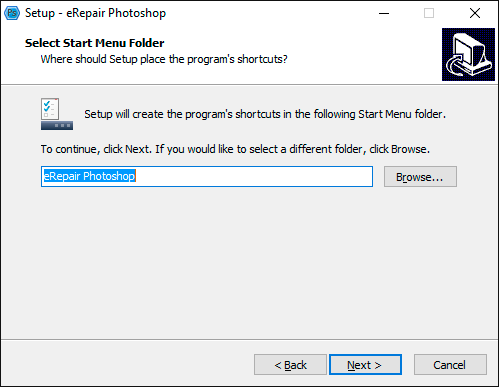 The fixing of corrupted PSD file is very simple step-by-step procedure (see above). 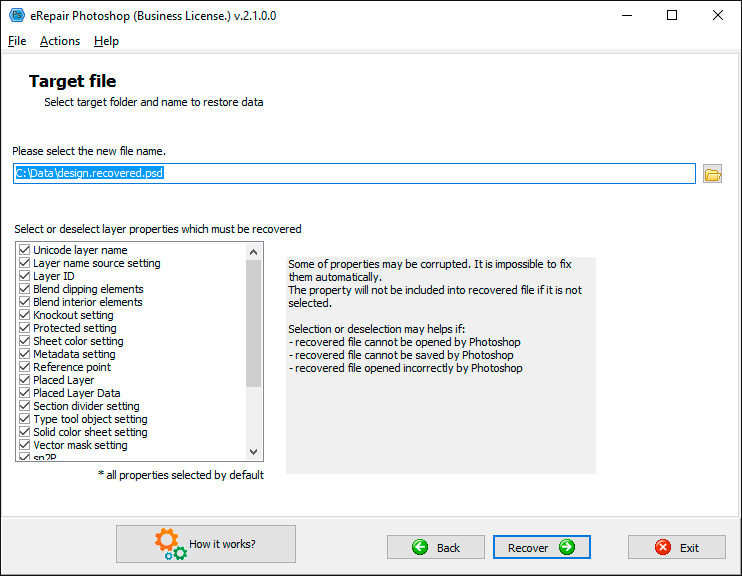 Select file name for new recovered file. 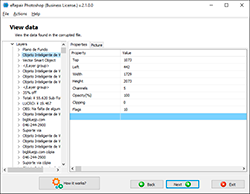 Select the properties of layers that will be saved. To open the recovered file in Photoshop, click the Show Result button. 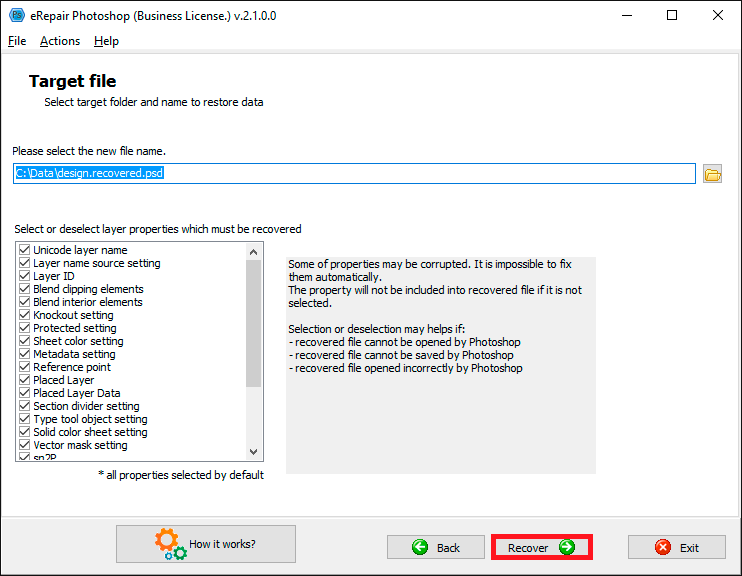 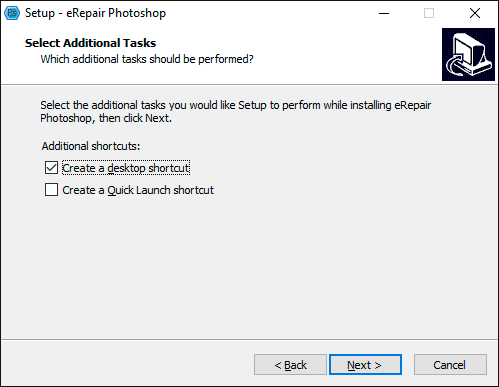 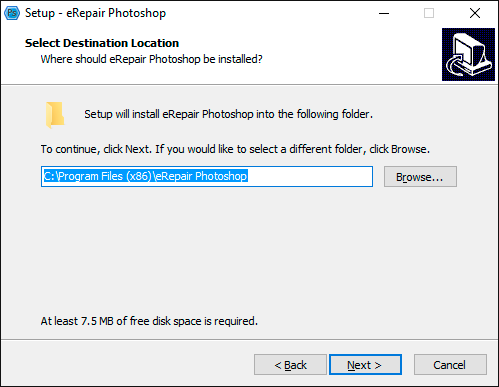 How to repair damaged psd files: eRepair Photoshop helps to fix corrupted *.psd files in few clicks.